For most people, it’s possible to pick up a dozen cage-free eggs at the grocery store for around $3. Even many convenience stores sell eggs. This ease of commercially available food is probably not on the list of reasons why you’re a farmer, though. The reasons that might be on your list — control over how your food is raised, environmental and animal-welfare issues, food costs, the satisfaction of self-sufficiency — double as reasons why that dozen eggs from the grocery store isn’t good enough for you. Cue the clucking of hens in your backyard. As simple as keeping chickens seems, the true cost of producing eggs for yourself and producing eggs on a local-retail scale is varied — and it’s not insignificant. Here, we’ll look at the financial inputs required to have a small-scale, free-range flock of chickens for home production and a flock for small-scale commercial egg production. Follow along as we add up the costs and benefits of keeping each type of flock for one year. If you’re only after the intangible benefits of home egg-production, going about this in an economical manner might not factor highly into to your decisions about the size of flock or breed of chicken. But there’s no reason you can’t keep chickens without losing money. The economy-of-scale concept applies to just about any enterprise you can name. If you have a mobile chicken coop that can handle 30 birds, that coop will cost you the same amount of money to build or buy, regardless of there being 30 or just two hens in it; likewise for waterers, feeders, electric net fencing, a guardian dog and time you spend moving the coop. The variable inputs are where the real costs are, and there is even some economy of scale. Feed costs less if you purchase in bulk, and the cost per chick goes down when you buy more, for example. There is no standard break-even point for pasture-based egg production, as everyone’s operation is different. This is where University of Kentucky Department of Agricultural Economics associate extension professor Greg Halich was coming from when he and Extension Associate Samantha Kindred developed their “Pasture-Based Laying Hens Decision Aid” interactive spreadsheet. Halich and Kindred spent about two years researching, talking with egg producers and extension professionals, and compiling their findings into their interactive spreadsheet to help small-scale farmers and backyard chicken-keepers become profitable — or at least not lose money in their egg venture. 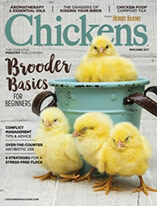 For the sake of this article and using Halich and Kindred’s enterprise budget, our HF Hens small-scale commercial flock and home-production flock will both use Barred Plymouth Rocks in their first year of laying. The breed you choose will affect your profitability in terms of rate of lay, age at which laying begins and average mortality figures. Both of our flocks are getting a commercial brand of organic chicken feed, which we pick up from a feed store in 40-pound bags for $0.62 per pound. 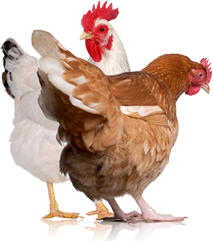 The price of feed fluctuates with commodity prices, as corn and soy tend to be the main ingredients in chicken feed. You may find a better price or twice this price in your area. If organic feed isn’t your thing or you don’t want to cart around feed in bags, there are other ways to source chicken feed, and these will impact your costs. It goes without saying that organic feed is going to cost more than non-GMO feed, which is going to cost more than conventional feed. If you have other concerns, such as soy-free, that will also add to your costs. You could find a better price by purchasing from a feed mill in bulk, or you could also go in with neighbors to purchase a larger amount of feed and share in the pickup or delivery costs. Another feed option is to grow some ingredients on your own, though you might find this to be more costly. The true cost of growing your own feed accounts for the land on which you’re growing; seeds; equipment and labor for planting, cultivating, harvesting and cleaning; storage space; and mixing this with vitamins, minerals and other ingredients to ensure your hens have the diet they need to produce well and stay healthy. Chickens don’t digest forages the way ruminant animals do. Some nutritional needs are met on pasture — mostly from the insects and grubs, seeds and the occasional mouse. Pasture-based hens may glean 2 1/2 to 15 percent of their dietary needs from pasture. Your home may produce enough food scraps to make a difference to a home-production flock, but unless you’re getting quality food scraps from elsewhere — a local food-service establishment, for example — your home-kitchen scraps probably won’t supplement much of a small-scale commercial flock’s needs. If you’re in it to make money, labor must be considered. Time is recorded for daily feeding, waterer clean-out, egg collection and general maintenance; weekly, the flocks are moved to new pasture. For the small-scale commercial flock, eggs are washed once per week, and time is spent marketing the eggs, too. This is where home egg-production and small-scale, commercial egg-production diverge in a big way. You might think this is a silly cost category, but egg cartons are a very real expense. Halich estimates one new egg carton and carton label costs nearly $0.50. You can’t legally sell eggs in used cartons in many states, so this expense adds up. If you’re just using your eggs at home, no one is going to stop you from recycling your egg cartons, so this expense is not counted in the HF Hens home flock. Here’s a negligible expense — it’s not even accounted for in the decision aid spreadsheet. Water doesn’t cost much — an average of $0.0015 per gallon in the U.S., according to the American Water Works Association — but it’s a valuable resource. You need water for your chickens, for washing eggs, and for cleaning the coop and other surfaces. If there’s any reason why small-flock egg producer would want to keep his operation at a home-production scale, it’s this dreaded m-word. Marketing is often the most difficult part of any farm enterprise. Whether you are competing for business with the large-scale, conventional egg producers or with the kid selling eggs as an FFA project, competing on price alone will almost never work out. To sell your eggs, your best bet is to develop a relationship with clients interested in your eggs for their intangible benefits: pastured production, supporting local farmers, etc. The amount of time you invest in marketing includes time spent updating your website; driving to, setting up for, selling at and breaking down at a farmers market; time spent researching and cold-calling chefs; and the cost of organic or another production certification, if this is part of your business plan. For our HF Hens flocks, we spend no time at all marketing the home-scale flock and an average of one hour per week marketing our small-scale commercial egg flock. Marketing costs money, too. Include your web design and hosting costs and market-vendor fees as marketing expenses in your budget. 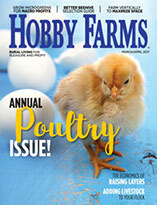 The HF Hens commercial flock has a modest $100 per year marketing tab. To save money and time, the commercial flock’s marketing considerations are shared with other small-scale farm enterprises. On the other hand, if you were to have a website for eggs only, marketing would all fall into the egg budget. Everything from your brooder room to an egg fridge and fencing supplies to egg baskets are fixed, depreciable expenses for your laying flock. These expenses are there regardless of what type of flock you have, but they could be shared among other farm enterprises. Another liability of egg production is older laying hens, but they can provide a benefit, too. These girls only have about two years of a strong laying life, but there is some value in these spent hens as stewing hens or for making stock. We sell about 80 percent of our HF Hens live for $6 per bird right there on the farm so we don’t have the expense and hassle of processing, or we process them for our home use. The other 20 percent of our hens live out their days on our farm. Here’s another liability turned benefit: Keeping your hens on pasture, their manure enriches the soil as they go. For the time that they’re kept in a brooder, that manure and litter can be composted for your own garden or sold to others. The financial value of fertility is not factored into the HF Hens budget, but as sustainable-farming advocates, we do appreciate it. The goal of a pasture-based egg enterprise is, of course, to make money; for a home-production flock, not spending more on your hens than their eggs would be worth retail would be nice. Eggs from the pasture-raised, organic-grain-fed HF Hens flocks are valued at a modest $6 per dozen retail and $5.50 per dozen wholesale. If you’ve priced pasture-raised, organic-fed eggs at your farmers market lately, you know this is a steal — though our imaginary flocks are not Certified Organic. We sell 50 percent of our eggs wholesale, 40 percent retail (including what we keep for ourselves) and factor in 10 percent not sold due to defects and other loss. Considering that egg price, we need 219 Barred Rock hens in our small-scale commercial flock to break even at the end of the year, according to the Pasture-Based Laying Hen Decision Tool. (We actually rake in a whopping $14 profit, but 218 birds loses us money.) The break-even cost of one dozen eggs in this system is $5.90; remember that the wholesale egg price is just $5.50, meaning the business needs to reexamine pricing. Realistically, the business needs to get more hens, too, if we actually want to have a successful enterprise. In the HF Hens home-scale flock, the numbers could not look more different. Just eight hens are needed to make this egg-laying flock break even. Doing away with the costs of marketing, labor, cartons and labels, and an egg refrigerator makes a big difference. 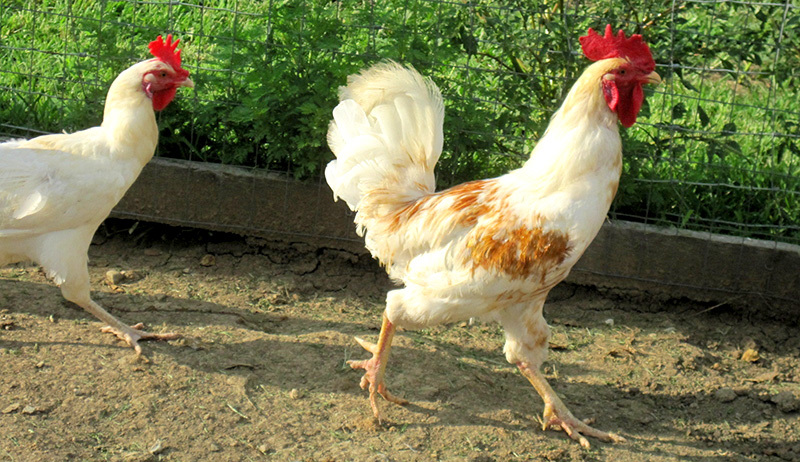 We used the University of Kentucky’s Pastured Laying Hen Decision Making Tool to determine projected expenses for our imaginary HF Hens egg-laying flocks for the year. Without recounting every number entered, here are some important facts and figures that may help you in your own pasture-produced egg decision making. Before the sounds of hens clucking creep into your farm dreams, spend time with realistic chicken-keeping financial and management figures. If profit is your aim, set goals so you don’t join the ranks of small-scale farmers disillusioned with the business of eggs. Home-raised eggs still beat grocery-store eggs any day, but only when they’re worth your while.